Birds love to eat the tasty treat that is a Suet ball. 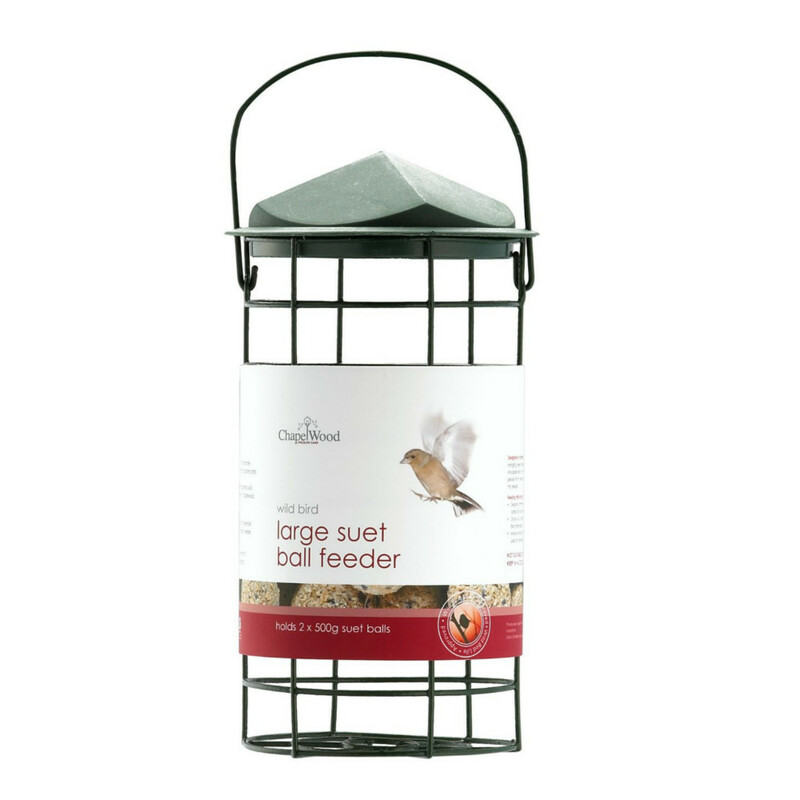 Chapelwoods range of Suet ball feeders gives bird watchers a great choice of feeders for their garden. 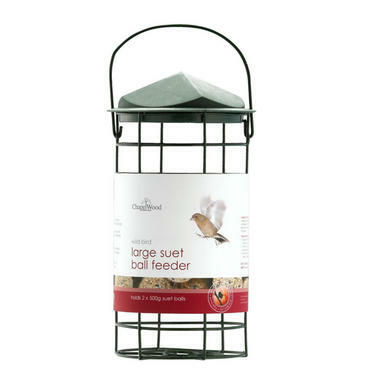 The Large Suet Ball feeder has a long mesh tube made of powder coated metal and provides many perching places for wild birds to rest and feed. The feeder top features a snap shut lid which makes it easy to fill as well as safe for birds preventing them from climbing inside. The Feeder is large and is capable of holding 2 x 500g Suet Balls.